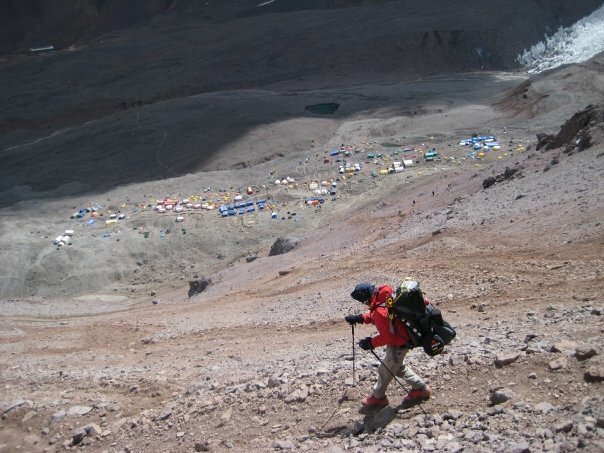 I lied on my application form to attempt Aconcagua. It is the highest mountain outside the Himalayas and some previous high altitude experience was a pre-requisite. It is a logical step up from Kilimanjaro but, at just under 7,000m, is an undertaking that should not be underestimated. I had only ever climbed in Scotland but made claims of 4,000m ascents in the Alps. As an 18 year old with little experience but high ambitions of climbing the highest mountain in every continent, this was a bold strategy. As it transpired, this was a worthwhile thing to do as I made the summit in Feb 2008 and became one of the Youngest Britons to have done so. I had never been on a proper expedition before so it was an enormous learning curve from start to finish. 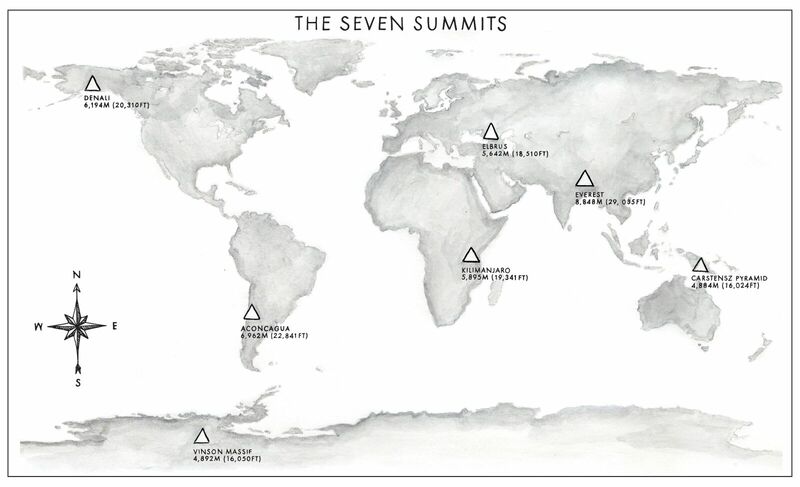 I was the youngest member of our team by a decade and was sharing tents with season climbers from all over the UK. This sort of experience is what makes you grow up. Living together for over a month in, at times, a cluttered and claustrophobic atmosphere does that. It helped me understand what being part of a team meant. 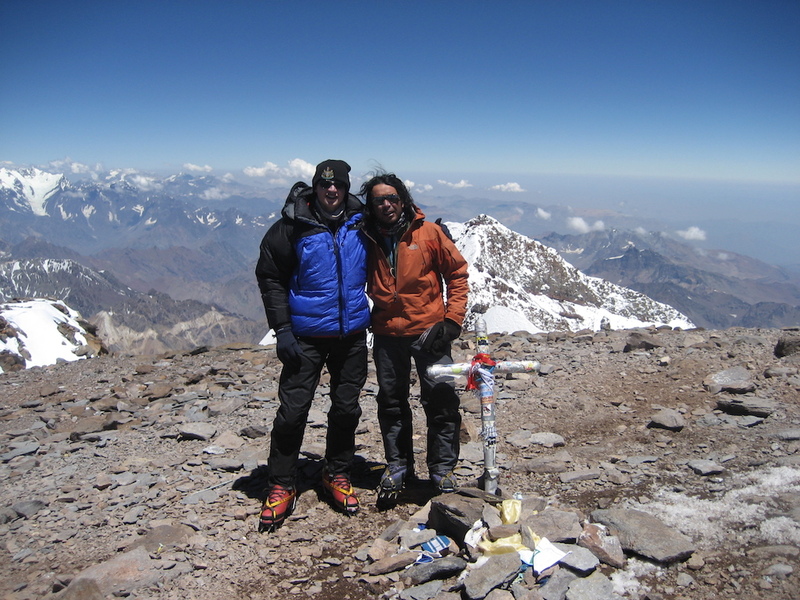 Aconcagua is not a technical ascent but it is certainly high. We traversed the mountain which added a few logistical challenges but was highly worthwhile. Up we went to Camp Colera situated at 5,950m. After sunrise on summit day, my extremities thankfully began to warm up and I felt pretty confident that I would get to the top. Even when you have that feeling, the moment when you reach the summit of a mountain is a unique one. There is something euphoric and exciting which is heightened when you’re at the highest point of a continent. A few snaps with the team, a little video for the records (thankfully my camera skills have developed with time) and off back to high camp we went. Being a good Scotsman, Dad gave me a hipflask of whisky to celebrate if we made it so I passed that around and I have to say, I wouldn’t do it again. 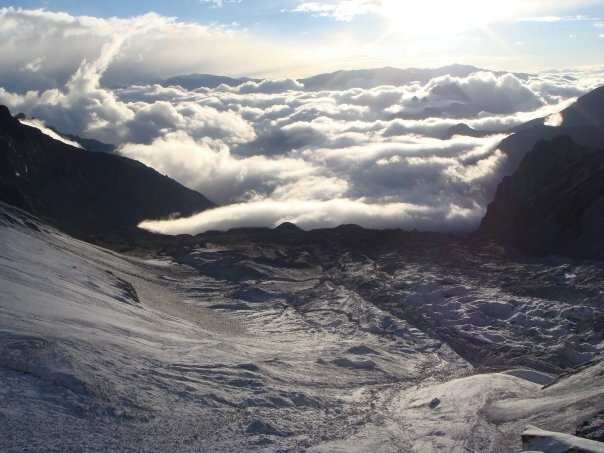 Drinking at high altitude is quite something when your oxygen saturation levels are so low – the effects are almost immediate and it promptly sent me into a deep sleep. This NY Times article says otherwise but my experience disagrees. A quick descent down the normal route (I always suggest people go up the Vacas Valley route as it is so much more pleasant) and we were celebrating back in Mendoza a couple of days later. 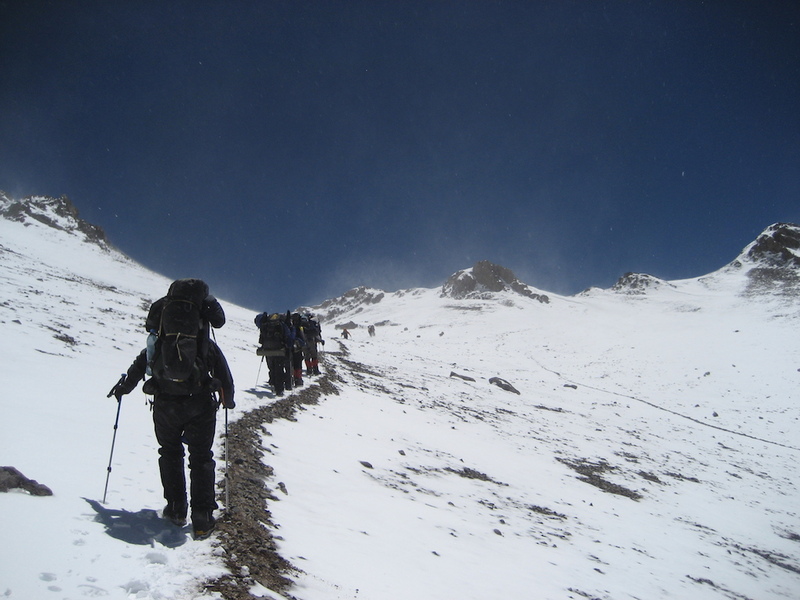 Aconcagua was a brilliant expedition and taught me an enormous amount. You live out of a bag in a tent for weeks and months on end; crowded and uncomfortable a lot of the time and yet totally at one with the environment and peaceful within it. I had botched a lot of what I needed in terms of kit and administration. I made mistakes I would endeavour not to make again but made the summit and it furthered my ambition to climb the Seven Summits.